Join us for tuning score, a weekly movement and dance workshop open to people of all abilities - no prior dance experience necessary! Tuning Score is an improvisational movement practice guided by a set of instructions called "scores.” This practice is about developing a sense of your body in space with itself and others; and how it might respond to others, respond to uncertainty, and respond to its orientation and directionality. It is joyful and also head-scratching at times, but you will be in the company of others in a similar place! This work is often done with eyes switching between open and closed. You are welcome to watch from the bar until you feel comfortable joining in on the movement! Water Bar now presents movement and dance workshops as an integral part of our newly re-opened Public Studio. These workshops are a chance to explore movement through body and mind, all levels of experience welcome. Our calendar will always indicate which workshops are open to public audience. Participants are welcome to join in movement, or watch from a seat at the bar if they're curious about what we're doing or want to join slowly. 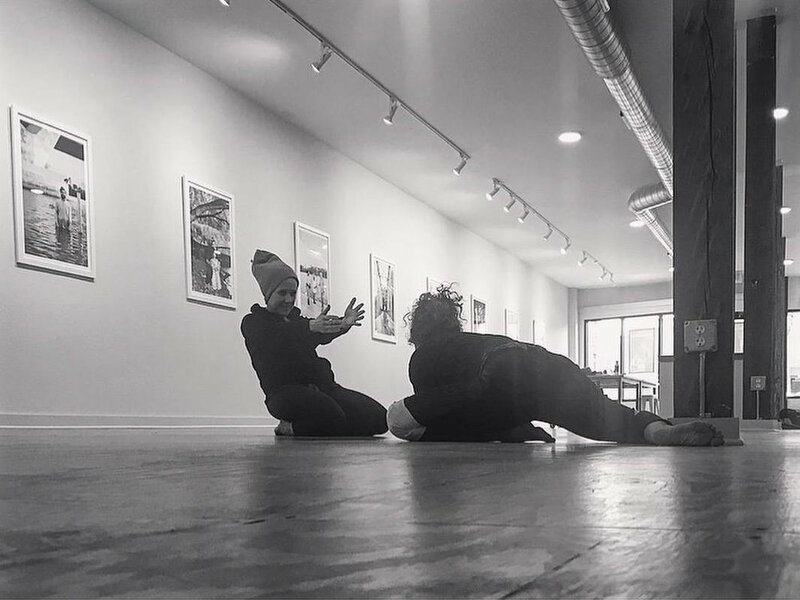 If you are interested in experimenting with movement ideas and working with a community audience please write Jennifer at Water Bar and propose an idea! We're interested in keeping workshops open to the public for watching and participation. Otherwise, we are happy to rent the space out for closed workshops or rehearsals. You can reach Jennifer by sending a note here.